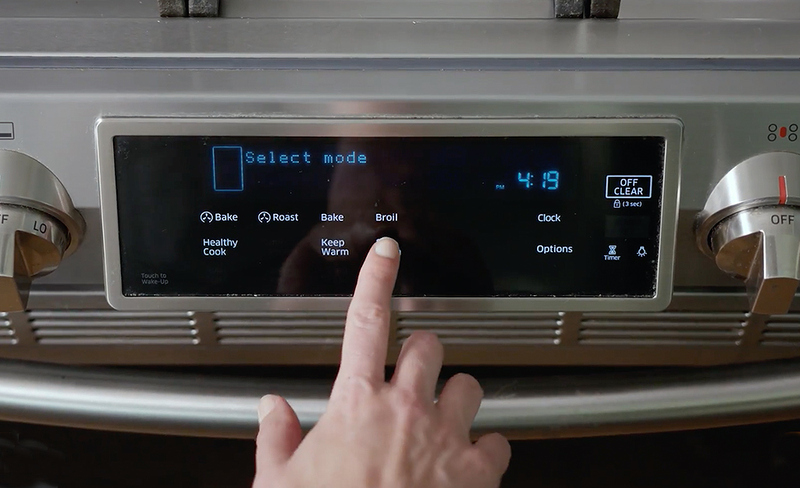 Your oven might have a self-cleaning feature, most new ovens do. You can choose to go with this quick-and-easy cleaning method that turns your oven grime to ash by using extremely high temperatures, or you can put some muscle into it, and get a brilliant shine without the smoke and smell. Follow this guide to go from splattered to sparkling. 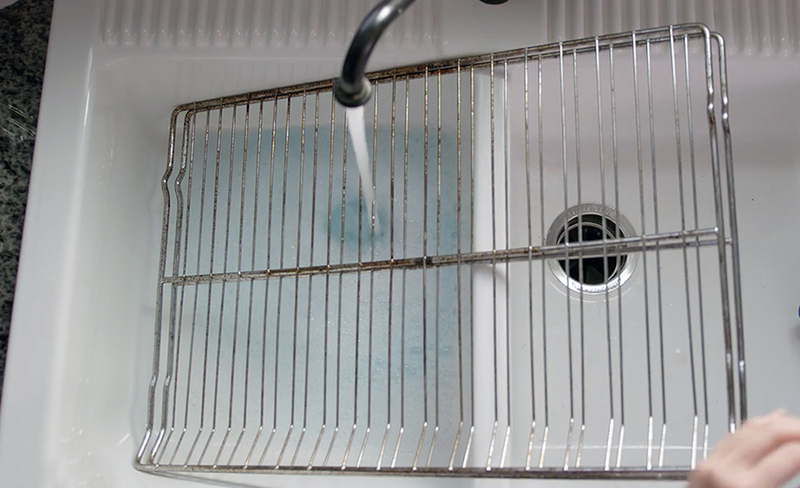 Remove the oven shelves and soak them in water and dish soap. Allow to soak while you run the oven on a cleaning cycle. Scrub the shelves with a heavy duty sponge or scouring pad. Take everything out of the oven before you start the cleaning cycle. Your oven will heat to extreme temperatures for several hours and could dull and warp the shelves, so make sure they're soaking in the sink before you run the oven. Once the oven has cooled for a few hours, sweep up the ash. 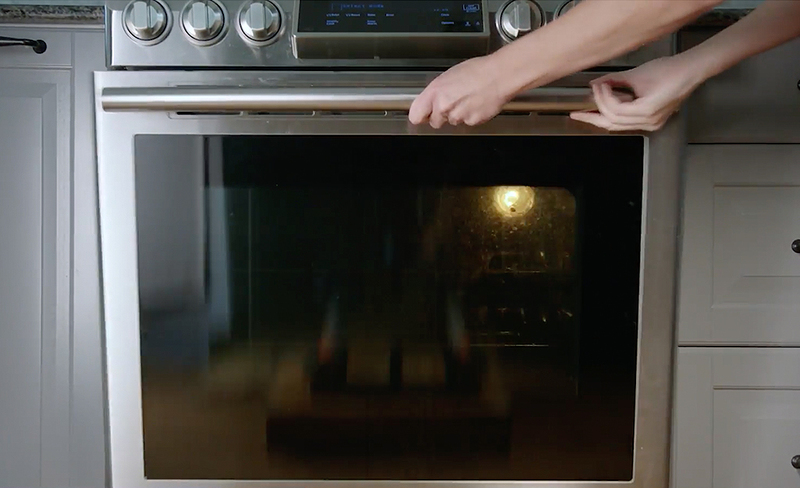 Carefully use a razor blade to scrape away grime off the oven window. If the shelves need more cleaning, apply a paste. Make a cleaning paste out of 3/4 cup of baking soda and up to a ¼ cup of warm water. Mix it together until it’s spreadable. Make more if you have multiple or larger ovens. You will also use this on the inside of your oven. Wear gloves or use a paintbrush to spread the paste evenly throughout the inside of your oven. Be careful not to cover the heating elements. Leave the paste on for 12 hours or overnight. Remove the paste with a damp cloth, or use a plastic scraper. Use a spray of one part vinegar to one part water on the inside of your oven to remove any remaining baking soda. Spray the door and clean with a soft cloth. A mix of water and dish soap should work for most surfaces. If your oven has a stainless steel front, clean with a product specially formulated for stainless steel.